It’s that time of year again! The holidays are coming up, and fast. That means it’s time to start getting those gifts purchased and wrapped (unless you’re Carol from down the street who posted on Facebook that she was “done with Christmas shopping” in September). 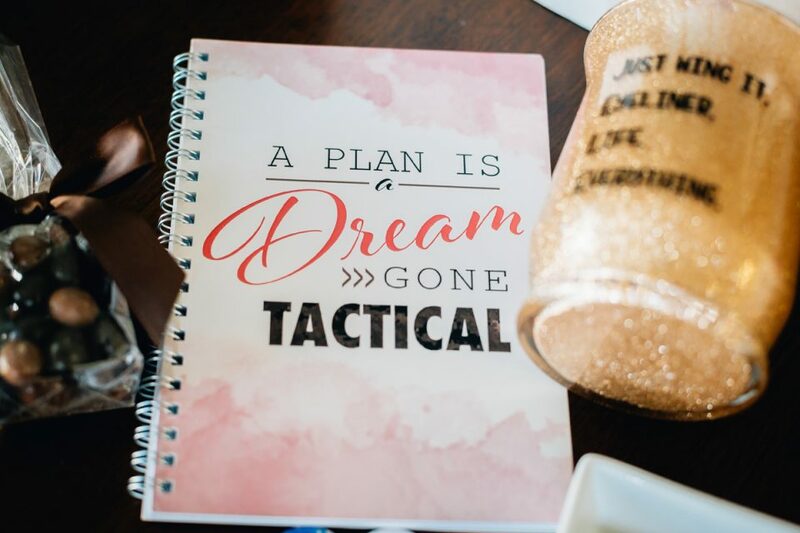 Daily Mom Military is a team of military spouses, just like you, and we have found some of the best gifts from military spouse and veteran-owned companies (and others) that we think you’ll be putting on your list — because they are on our lists, too! So hit that share button, and send this over to your husband so you don’t end up with another handheld vacuum (actually that doesn’t sound so bad). 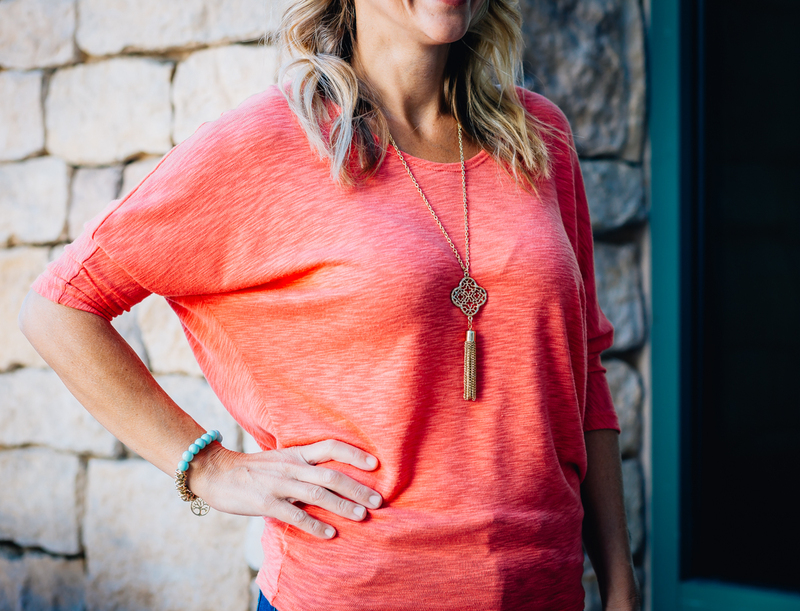 Each piece in the Grace Collection is a wearable reminder that any act of generosity can make a significant difference to a community in need. Donations to World Vision will address specific and urgent humanitarian needs. Heaton designed the Grace Collection as a way for donors to give twice: gifting a gorgeous accessory set to a loved one and donating to a community in need. 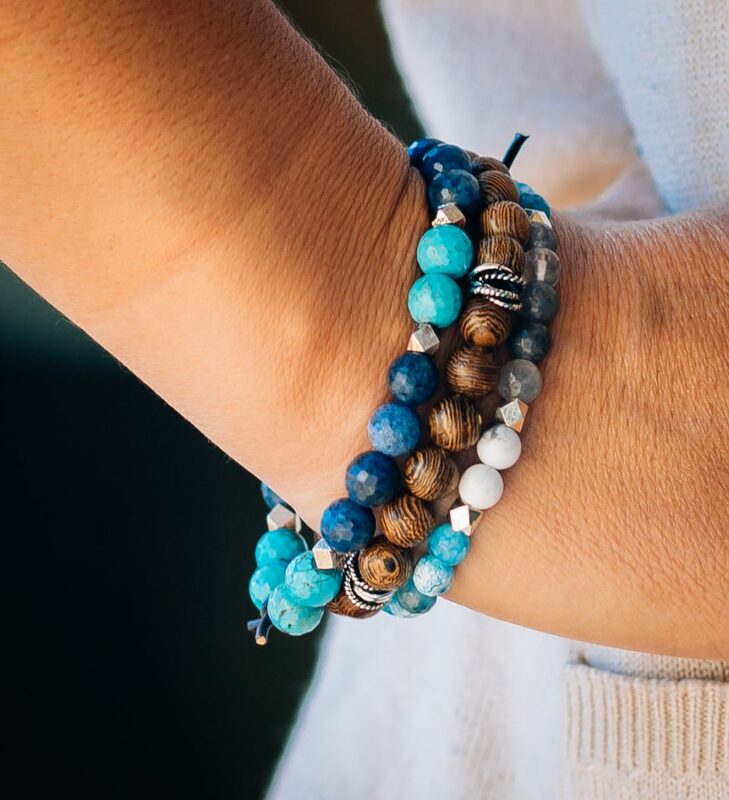 This meaningful collection is a perfect way for you to use your holiday money as a force for good. 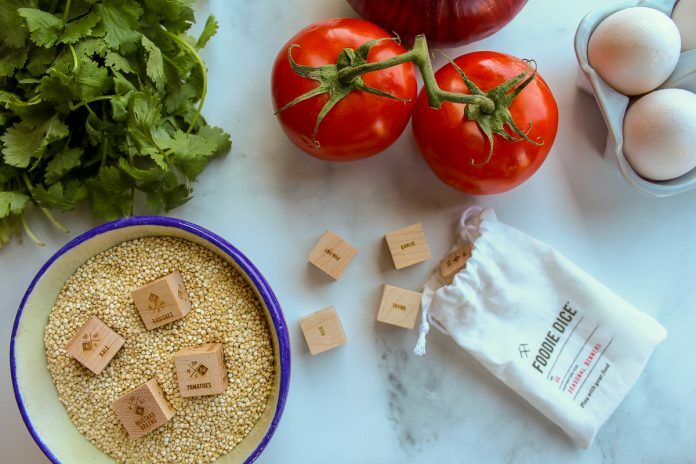 With our lives becoming increasingly busier with kids, school, work, and extracurricular activities, we welcome anything that will help up shave off time in the kitchen! While a crock pot has been our go-­to gadget for years, the pressure cooker recently shook up kitchens everywhere with the introduction of the Instant Pot. 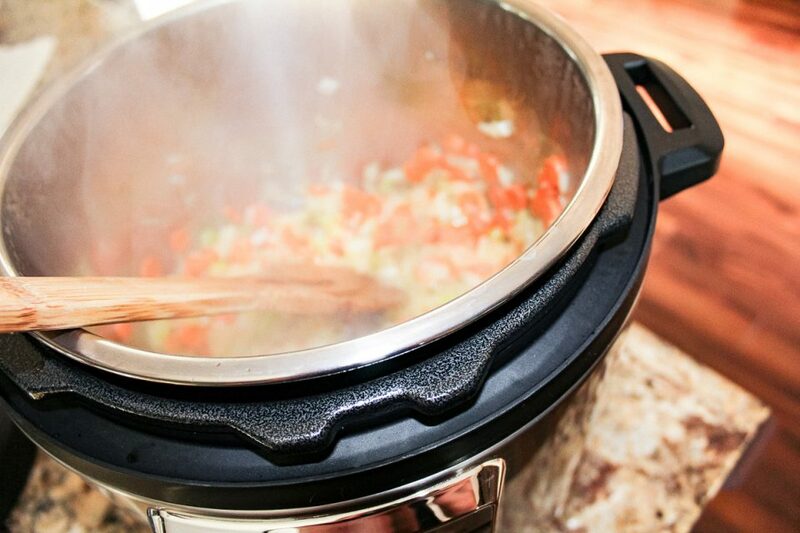 Pressure cookers work by trapping the steam that builds from the liquid inside, therefore rapidly reducing the required cook time. Where a crockpot cooks low and slow to produce shredded beef in about 6­8 hours, the Instant Pot gets it done in less than an hour! 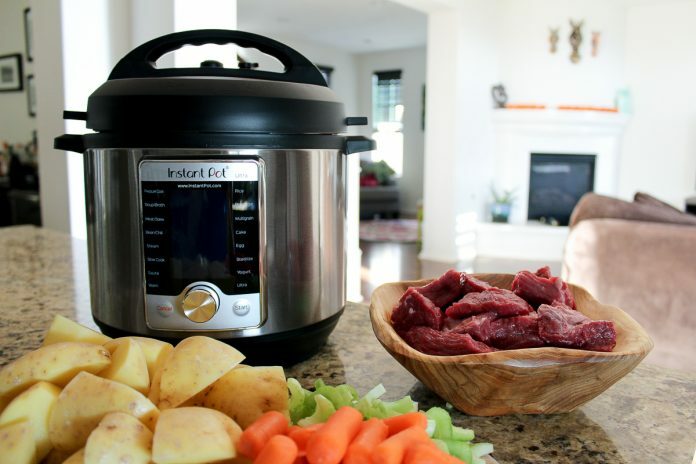 The Instant Pot Ultra 10-­in-­1 Six-­Quart has 10 different settings that allow you to not only pressure cook, but to sauté, slow cook, steam, warm, and sterilize. You can even use it to bake a cake! 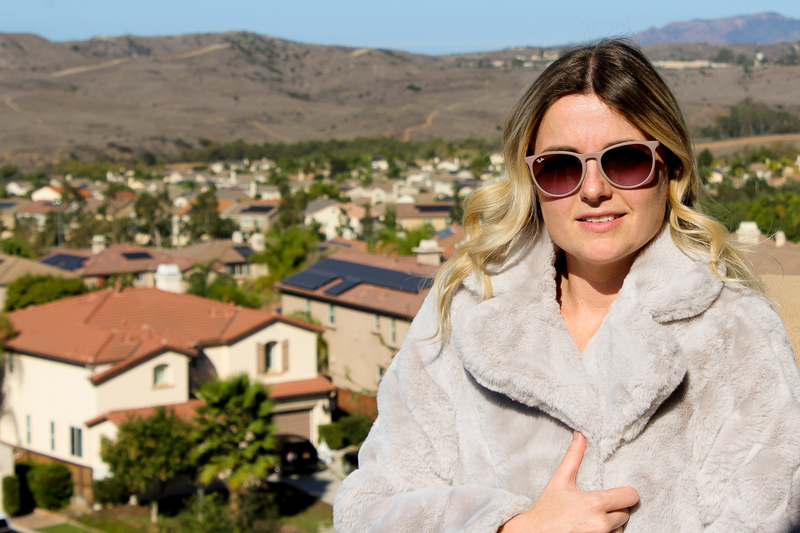 The Adrien Faux Fur Coat from Coco + Carmen offers the softest, plushest alternative to real fur. Made from 100 percent acrylic, this 3/4-sleeve jacket is lightweight, while still keeping you cozy. Look like a million bucks in this combination of comfort and style without actually spending a million bucks! It is also available in a beautiful shade of burgundy, so one for you and one for your milspouse bestie. If you’re looking for a gift that has meaning behind it for your military spouse or military spouse sister-wife, look no further than CharlieMadison Originals. 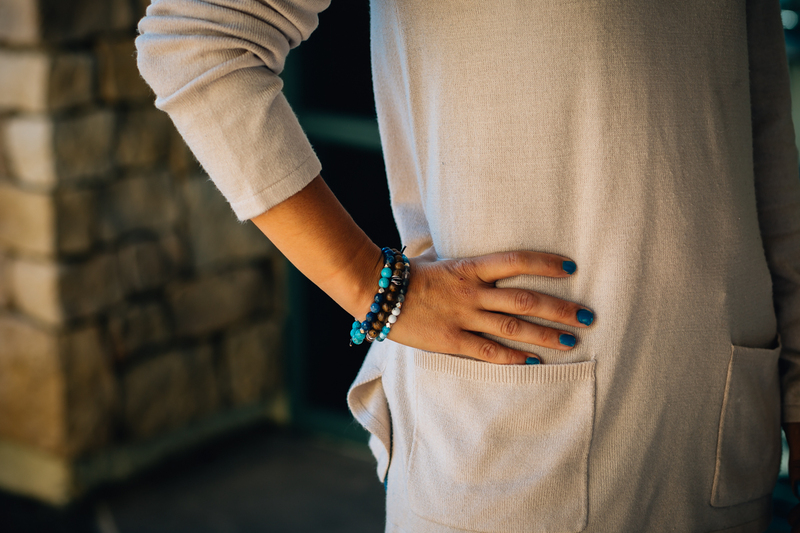 This milspouse-owned company designs beaded bracelets. Each bead has a significant meaning behind it, reminding us to reflect and cherish the little moments throughout our hectic days. The color combinations of each of the designs are sophisticated and classic, but also stylish and trending. With designs like Be Present, Gratitude, and Renew You, all tied together with a classic naval anchor knot, CharlieMadison Originals bracelets will remind any recipient to slow down and soak up the precious moments in this crazy military life. Cooking appliances are all the rage and the air fryer is gracing countertops across the country. Boasting a healthier way to fry favorite foods, this appliance allows you to cook items at temperatures ranging from 180 to 400 degrees Fahrenheit with the touch of a button. There are eight pre-programmed options for favorites, like french fries and chicken. 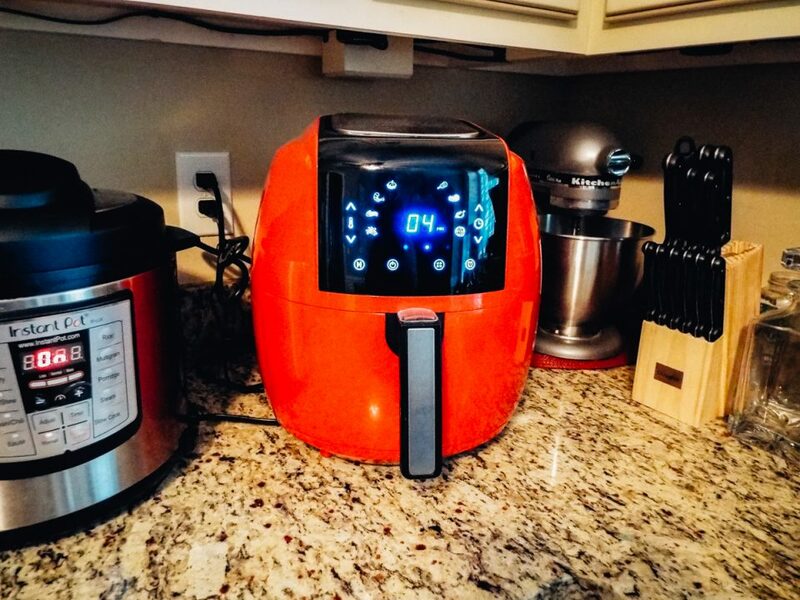 With the 8-in-1 Air Fryer from GoWise, cleanup is a breeze — you won’t miss messy conventional frying one bit — and cooking is a dream. Does your toddler want chicken nuggets — like right now? 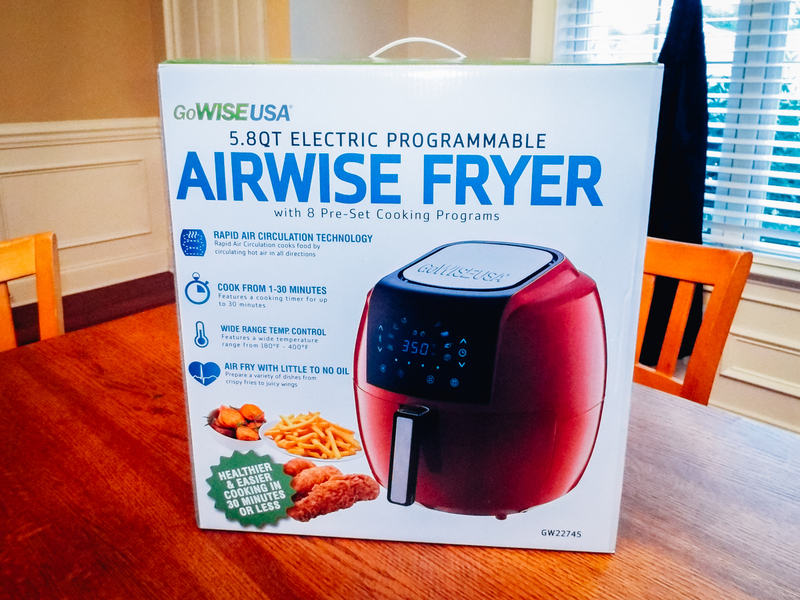 In less than 10 minutes, the GoWise Air Fryer can preheat, cook, and have them ready for your demanding little one. And, for that kid who is never hungry at mealtime, you’ll never hesitate to reheat french fries again! 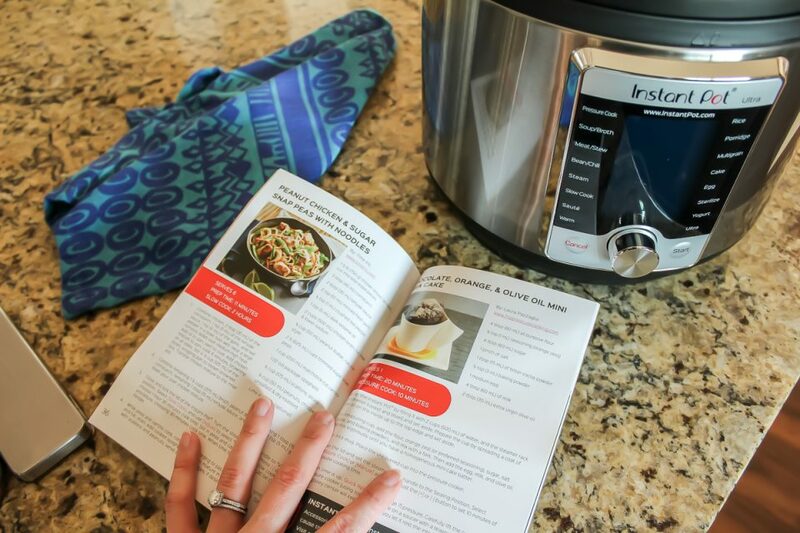 The GoWise Air Fryer comes with a cookbook which will help you navigate recipes ranging from bacon to desserts. It’s easy to clean, cool to the touch on the outside, and so much fun to use! Magnolia and Vine Black Versa Commuter Winged Tote is a luxurious, sturdy, and sleek accessory to any outfit this holiday season! Sporting thick, durable handles (and an optional clip-on shoulder strap), this versatile showstopper can handle even your busiest days. A lovely light-colored inner lining is perfect to combat the “black hole” theory that we experience in most purses. Numerous inner pockets make organizing easy, and the best part is the magnetic capabilities of the exterior! With four strong magnets, the Versa Commuter Winged Tote can be paired with dozens of exterior wraps to mix and match with any season, holiday, or event! The possibilities are limitless with magnetic wraparound accents. One bag that allows you to customize it to absolutely any aesthetic desire! 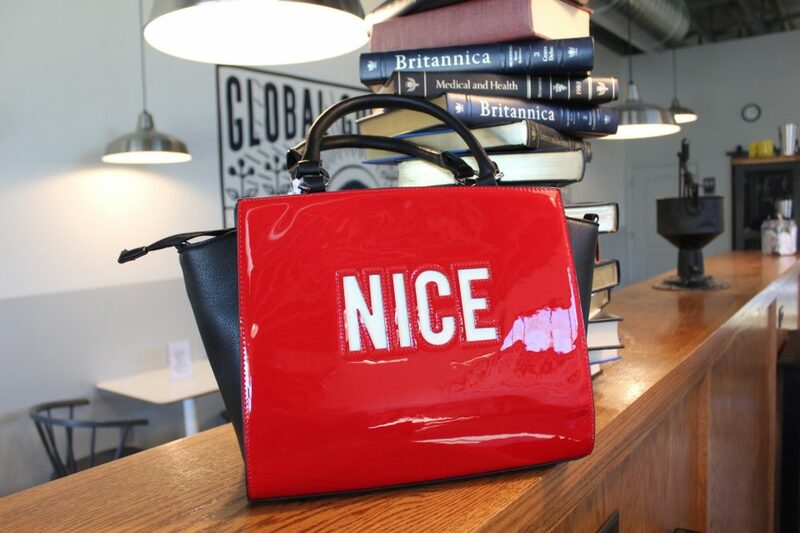 The Naughty and Nice wraparound accent is a fun way to jazz up your Versa Commuter Winged Tote for the holiday season. Need a different wraparound accent for a wedding? Done! Another for spring? Magnolia and Vine has you covered there too! The Versa Commuter Winged Tote is double-sided class for every woman in your life, no matter her style! And, you know what, you should put Magnolia and Vine on your holiday list as well! Treat yourself to options all year long. 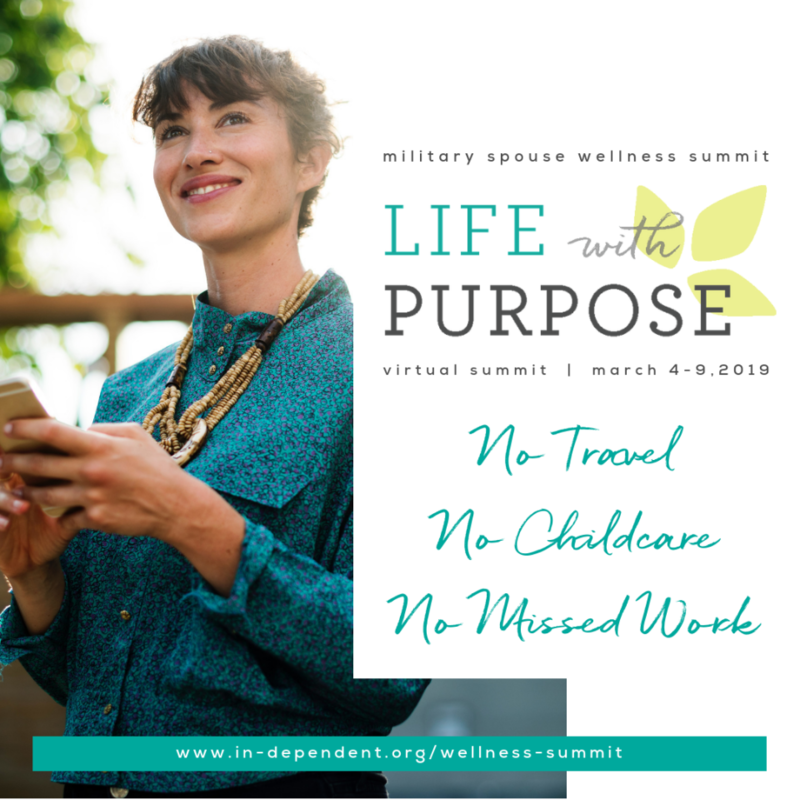 While there are a variety of ways to carry out a deployment countdown, there is only one that truly uplifts and, literally, rewards a milspouse with each month that is ticked off. Enter, Brave Crate. 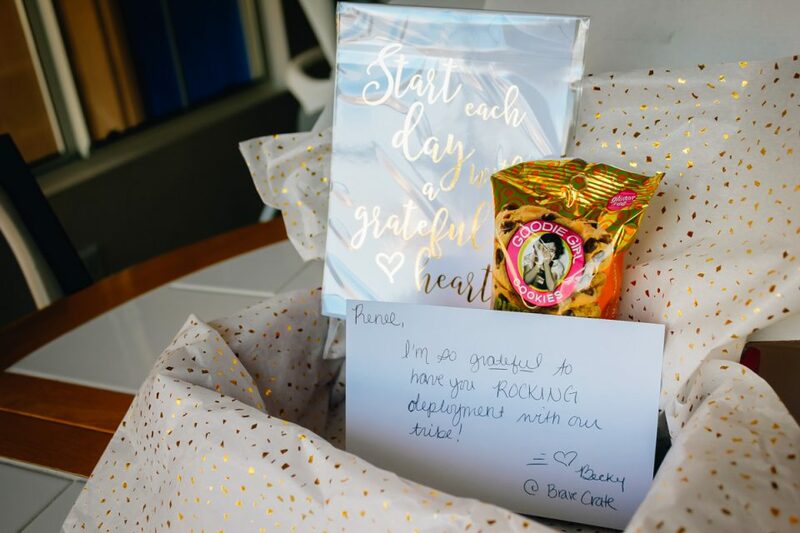 Gift the military spouse in your life this subscription box and help Brave Crate super­charge her homecoming countdown. 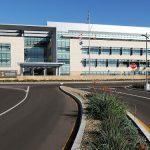 While we’re good at documenting things on social media and in our baby books, but all too often, military spouses wish they had written down the memories from each duty station in one place. With this journal from Juliet + Echo, you can do just that. Each journal is standard 8.5 by 11 inches and has a strong, adhesive spine. The pages are thick and durable enough for photos, but still easy to write on. The Couples Journal from Juliet + Echo is a great way to keep track of all the amazing memories throughout your journey as a military spouse. Each duty station has 12 pages of preformatted topics and free space to journal or document the highlights. 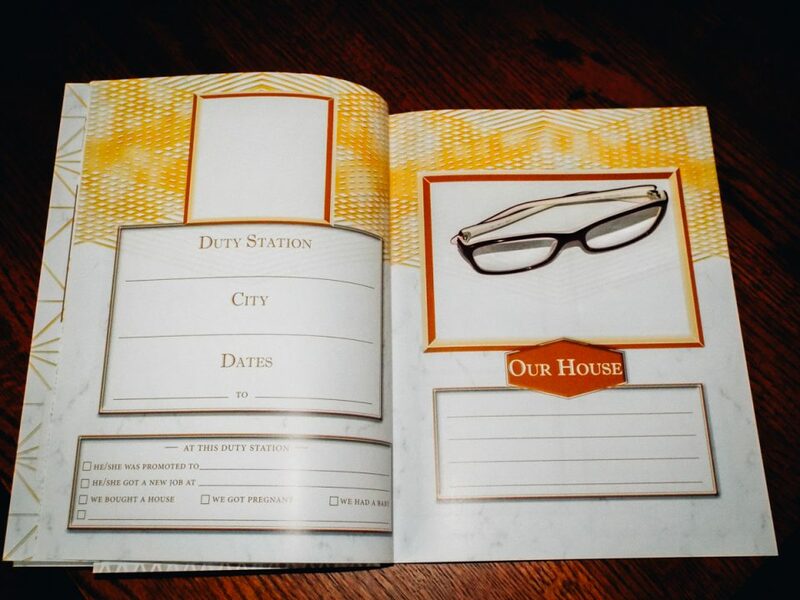 The Couples Journal is also available with space for documenting 10 duty stations. Don’t forget to use the acid-free corners to mount your photos and keep all your memories in place. 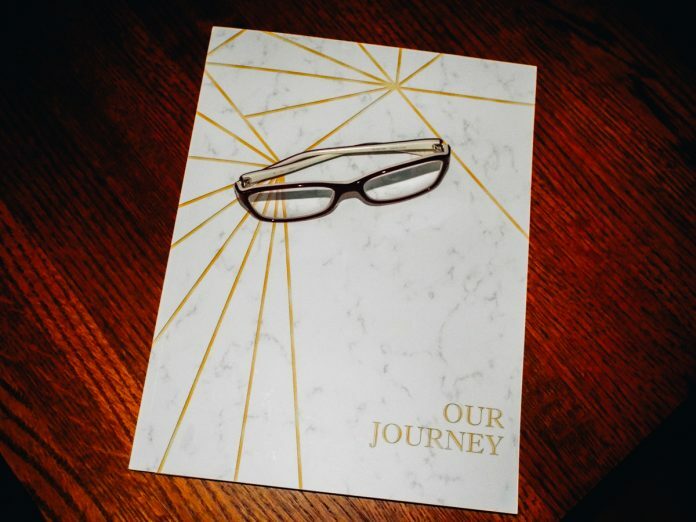 Start documenting your journey with the Couples Journal from Juliet + Echo today. 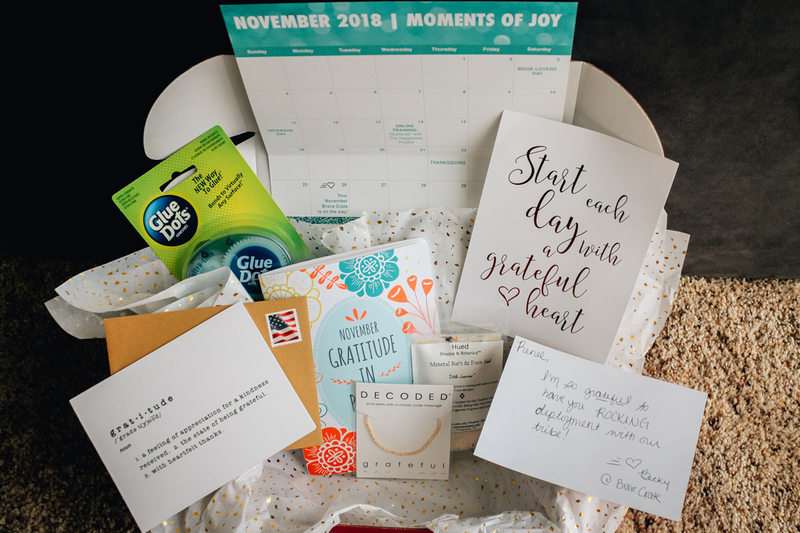 A great idea for any occasion, but especially the holidays, is a subscription box. 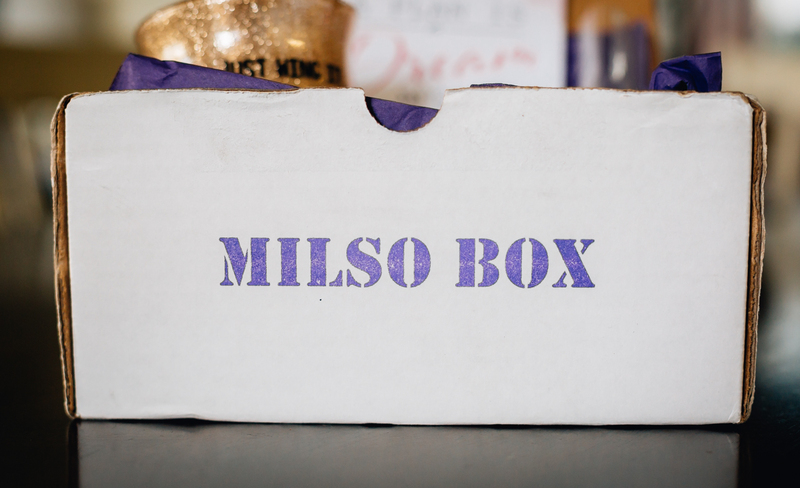 There are so many different kinds of subscription boxes out there, but there aren’t many with the milspouse in mind. MilSO Box is a subscription box made just for military significant others (MilSO, get it) who are holding down the homefront. 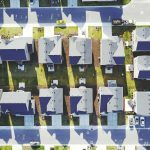 It can be sent as a single gift, as a three-month increment, or as a six-month increment to spouses or significant others of service members. This is the perfect gift for a military spouse who is going through a deployment, flight school, or basic training. 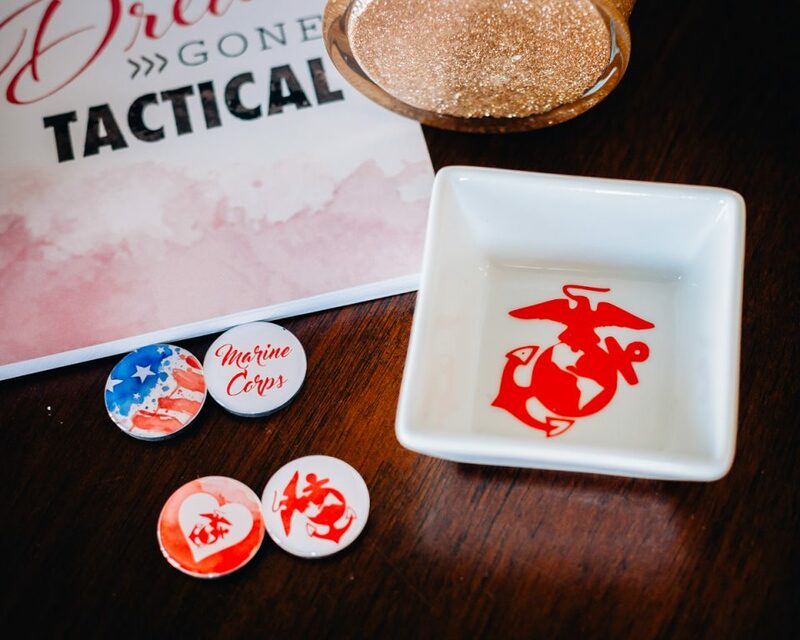 It’s also a great go-to for a military-inspired gift for your military spouse sister-wives no matter where they are on their military spouse journey. 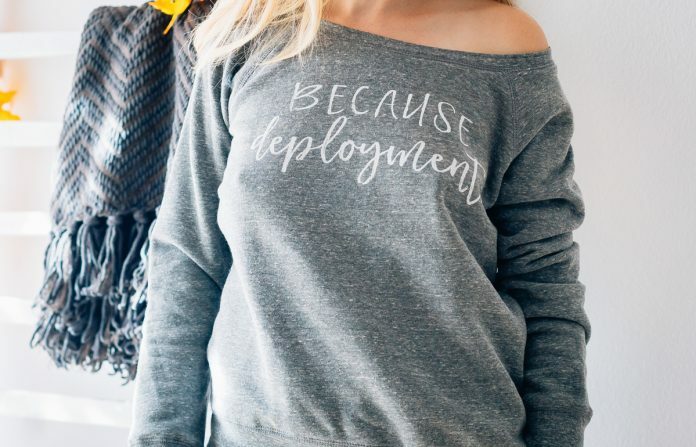 Every moto milspouse needs some gear to show her love and support, but we don’t always want something that blares, “I LOVE MY MARINE” or “PROUD ARMY WIFE” in PT green. 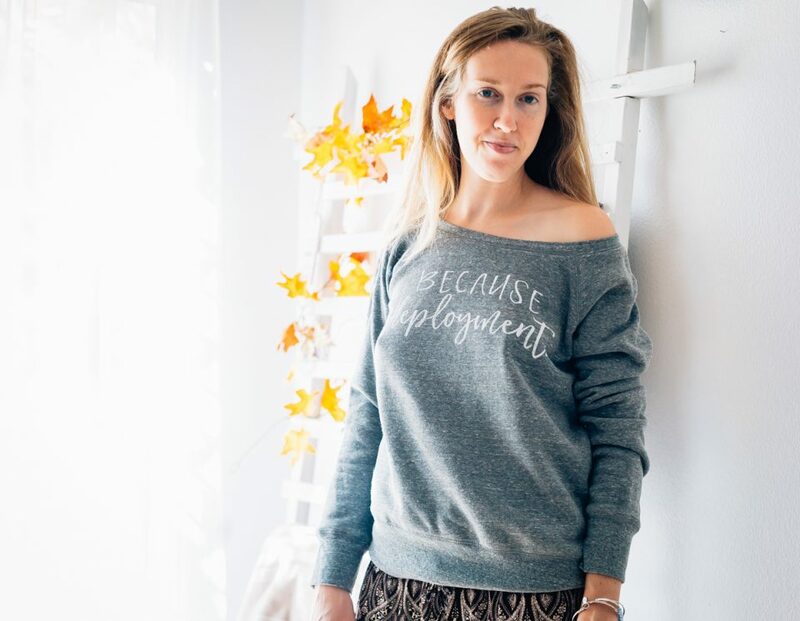 The Rosie Project offers t-shirts, sweatshirts, hats, and more for men, women, and kids that say “proud military family,” but in more of an inside-voice sort of way. If you have a friend whose spouse is deployed or you are deployed and want to send a sweet gift to your spouse, this Because Deployment sweatshirt is something that will not only make her smile, but also quickly become a staple in her wardrobe. 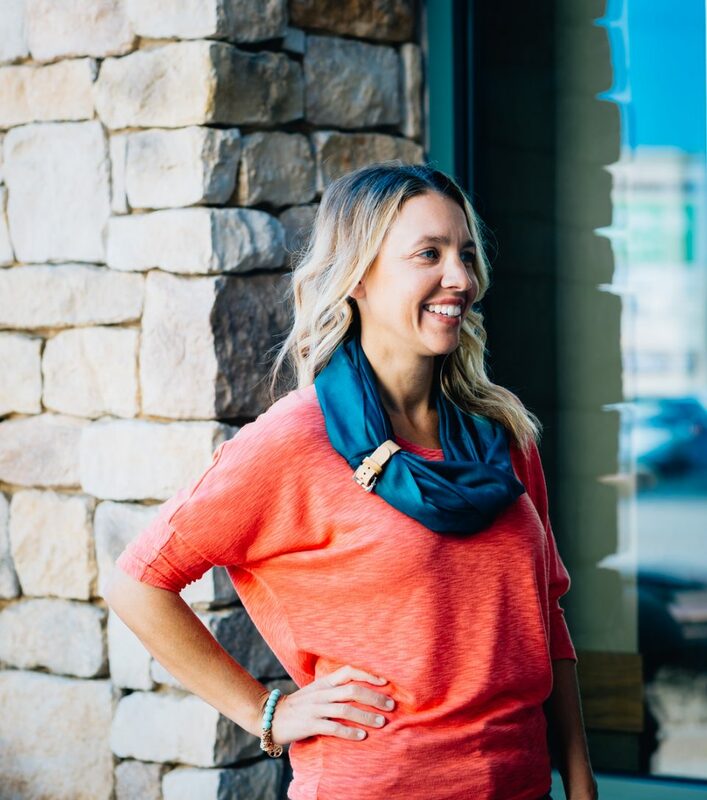 It comes in black, light blue, navy, and grey and is made with 100 percent soft, comfy cotton. Pro tip: Order it one size bigger so it can be a comfy, baggy sweatshirt she can wear when she eats her feelings. Don’t worry ladies, we all do it. 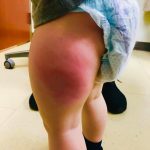 GET 10 percent off your order with the code DAILYMOMMILITARY. If you’re like us, cooking dinner day in and day out can take it’s toll on your creativity, especially when it comes to thinking up new dishes. 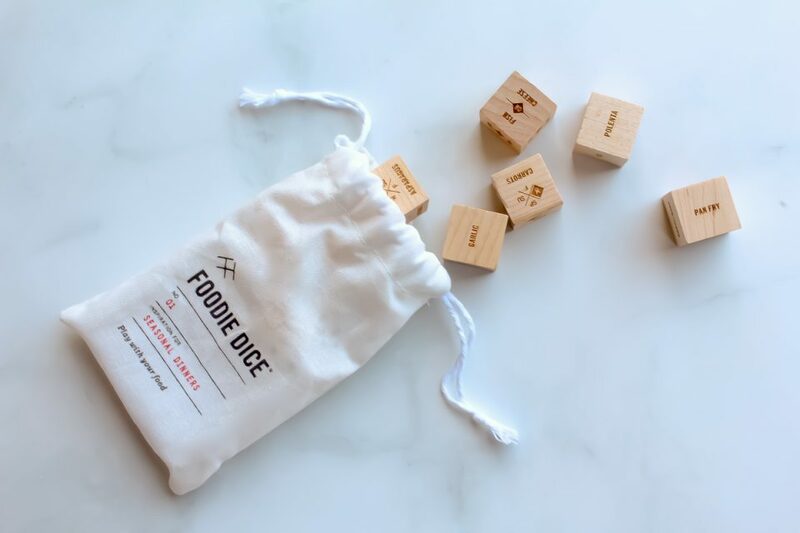 Enter the Seasonal Dinners Pouch from Foodie Dice! 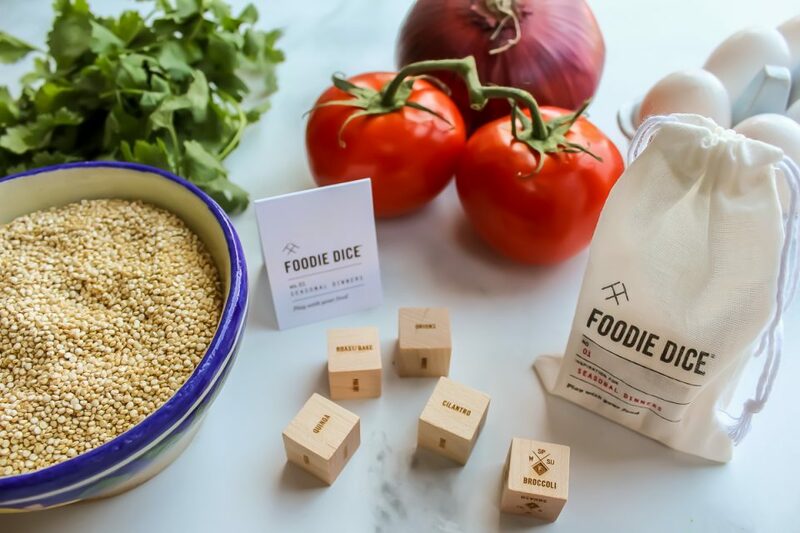 Each pouch contains a protein, cooking method, grain or carb, herb, and bonus ingredient dice, plus four seasonal vegetable dice. Give them a roll and let lady luck choose what’s for dinner! Check out their expanded line for paleo, Asian bowl, salad dressing, dessert, and mixed drink sets! If you have a book lover in your life, a new book is a must for the holidays. Cloaked is a book written by military spouse Taylor Hobbs. 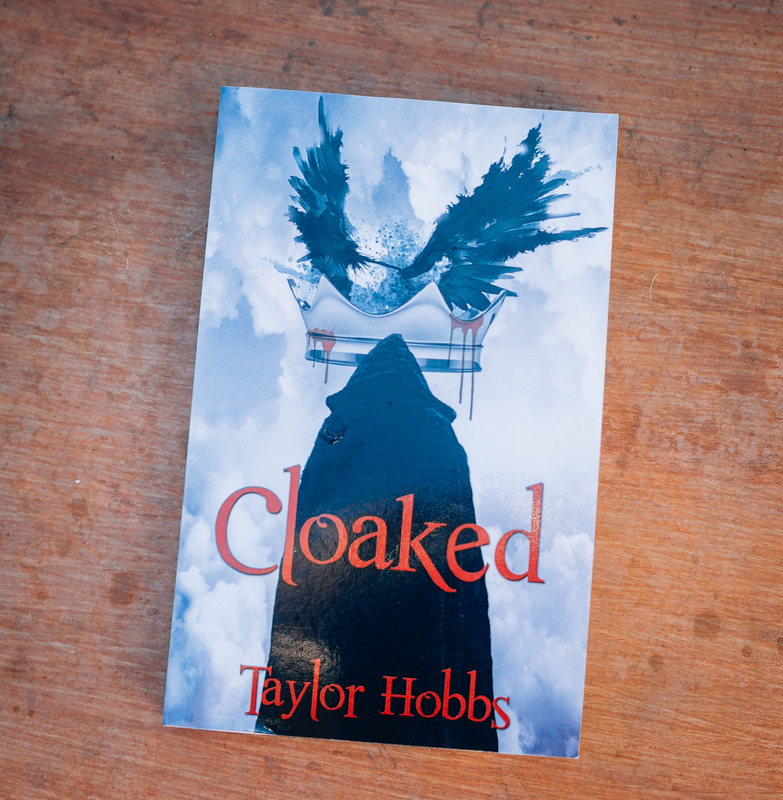 The story is one that will captivate you from the first few pages. Written with a strong female lead character, the novel will transport you back in time to an era of nobleman, commoners, and kingdoms. 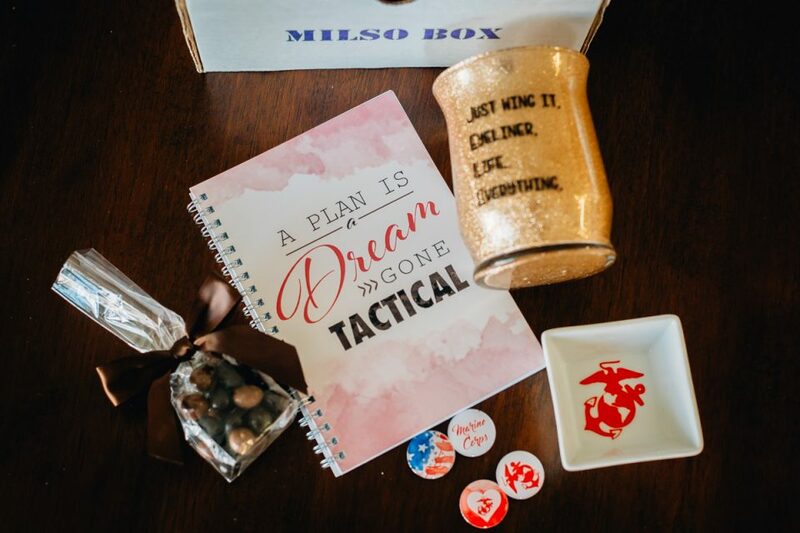 This is a great gift for any military spouse book lover, as a hostess gift, for a command team, or just as the next book to read for your book club! Great things come from being stuck in the desert, and these Jane & Cope earrings are no exception. 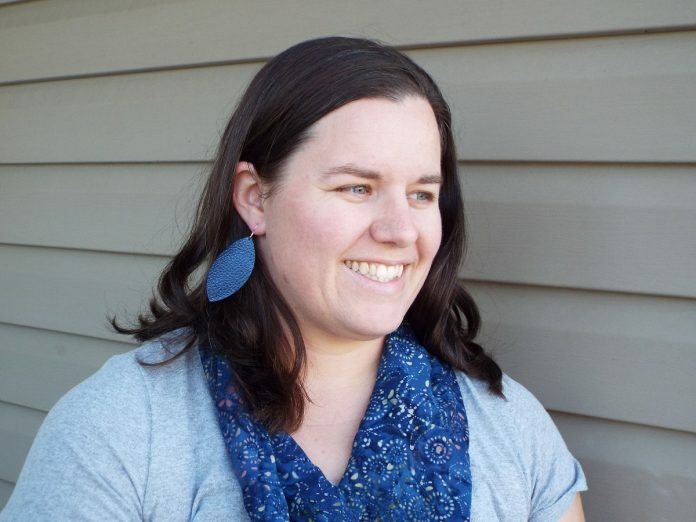 Created by two military spouses, these gorgeous earrings are lightweight and perfect for every occasion. 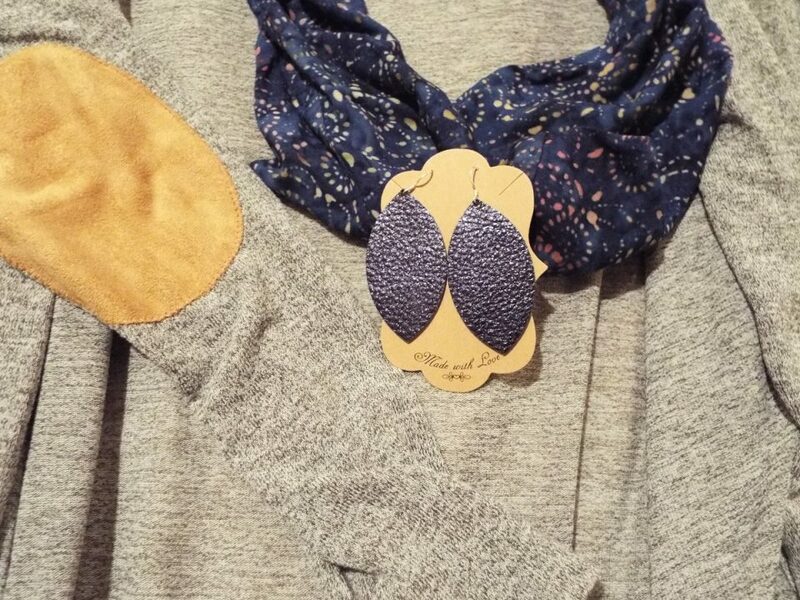 Wear them with a messy bun, pair them with jeans, or even wear a pair with your cocktail dress this holiday season. Grab an adorable pair of these fashionable and comfortable earrings from Jane & Cope and send them to your favorite milspouse gal pal today. Military spouses are a unique breed. We love our MOTO gear, but we also love cooking appliances, good books, and great accessories. That’s why Daily Mom Military searched for a diverse list of items we think you’ll love. Looking for more gift ideas? Check out our other Holiday Gift Guides here on Daily Mom Military!